We are excited to announce our latest collaboration with New York/London based contemporary interior designer, Philip Gorrivan, who is well known for his cosy and eclectic design projects. 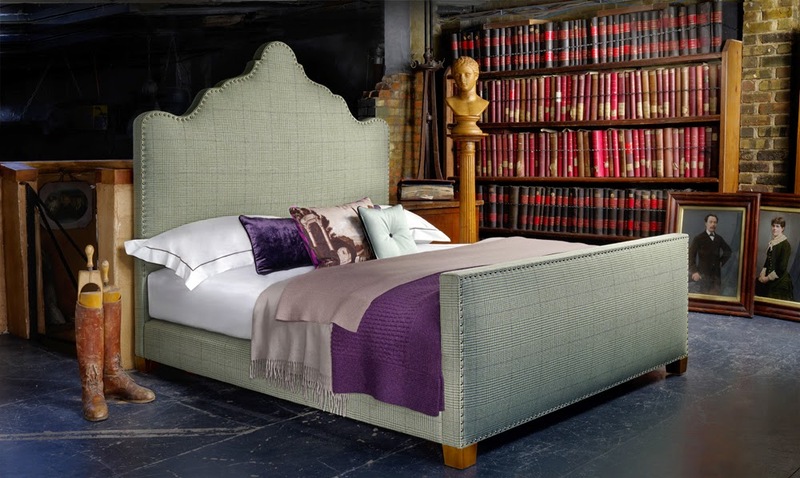 The creation was designed to encompass Philip’s idea of ‘classic life… unexpected style.’ The shapely headboard is upholstered in a striking checked fabric taken from Philip’s range for Duralee. 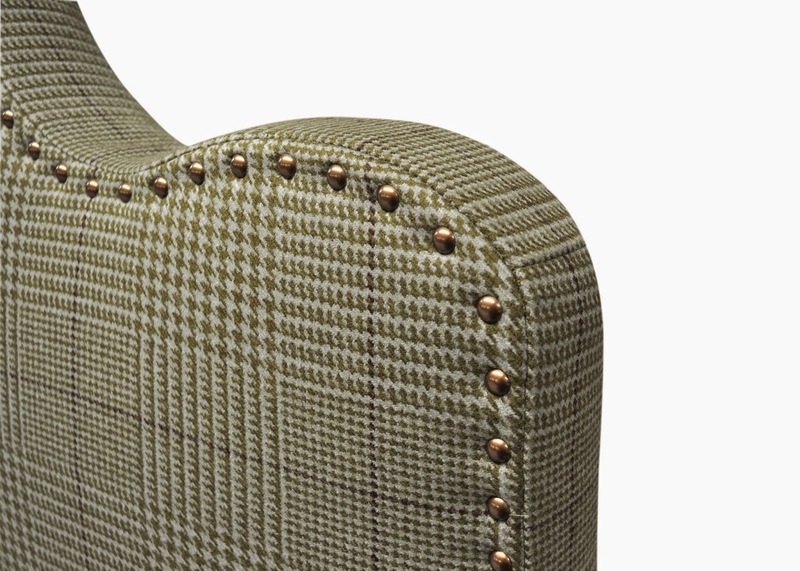 Named ‘Highland Court’, the 100% wool fabric features a subtle hounds-tooth and check print in patina and olive shades. Philip is also famed for his clever sense of colour and, as you can see, his design uses a statement shade that is also versatile and can be adaptable to a whole range of schemes and interior styles. The French natural nailing featured also adds a luxurious feel to the bed, which is topped off with rich walnut tapered legs. It's Interesting article ! All the mentioned blogs really do appeal. They are unique and realistic in their own way. Am now confused on the options we have!!! Its really a treat to go through each one of them. Your opinions are quite interesting, I enjoy reading what you write on interior design. Hope to hear more from you. The furniture design provided in this blog was amazing. Thanks for sharing. The bed looks so beautiful, I like it. While the climate outside was a repulsive - 16 degress (!!! ), it was awesome to see various writers still made the outing to appreciate Philip's creation over breakfast at our Soho showroom. Philip was additionally close by to examine his outline, and even delighted in an unwinding rests on his creation. Get the best cheap homework help by the well qualified and experienced experts of Students Assignment Help. Our professional and educated tutors are fluent in writing assignment as they have done degrees from top universities around the world. you can go through All Assignment Help reviews . It will help you to know about the services, and it will help you to know whether that site is reliable or not. This is a way of understanding the opinion of users, and it helps the website to maintain its functionality and reliability. Good article! We are linking to this particularly great content on our site sunglass repair. Keep up the great writing. I recognize you ought to be thinking that having cell device coverage is a scam, and it may be relying on your view of the situation. Those phone insurance organizations purchase damaged phones in bulk and restore them. Then they deliver one of these cell phone repair near me to you.